What is Youth Group and what do they do? Read on and stop in! Each week we share a meal together, have a lesson, and have some fun! Our current topic of study is healthy communication and conflict. We are approaching this from the viewpoint that since all people are made in the image of God, all people are worthy of respect. Using both secular and biblical resources, we are teaching the kids how to have respectful conflict, and how to communicate effectively. Students break out into groups for age-appropriate discussion. All of our teaching is bathed in the truth of the gospel-that we all mess up and do the wrong things sometimes, but Jesus came to fix that. Because He loves us so much, He paid the penalty for our mistakes–both things we have done, and things we didn’t do when we should have. When we accept the help He offers, we find forgiveness, grace and love that is unending and unconditional. We try to help the students ground their sense of identity in the love that God has for them, instead of in the false gods of success or good looks, failures or shortcomings. The annual Diocesan Youth Gathering will be held at St. Stephen’s Church in Sewickley. This event includes students from all over the Diocese. Our time together will include: workshops, worship, time with Bishop Hobby, prayers and fellowship. We will leave from CCFC and carpool together at 7am and return by 4pm. We are partnering with the Agape year program, (www.agapeyear.org) and Pittsburgh Project, (www.pittsburghproject.org) to bring the students of the Diocese together to serve our city. We will not be running a Youth Alpha this Fall, but will do one in the late winter/early spring. Although we are clear about our Christian point of view, we do not try to manipulate the students into believing what we believe, and are respectful of different beliefs. Our youth group is a safe place to come think about things like life, the universe and everything. Our students come from a wide variety of schools, and may or may not be members at our church. All are welcome. 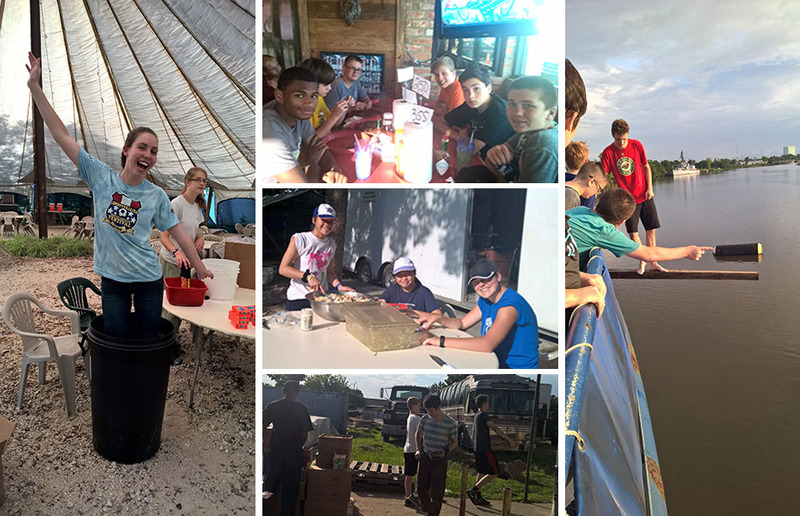 In June of 2018, 20 teens and four adults from our congregation and Church of the Ascension in Oakland traveled to Lake Charles, Louisiana to work for the Christian organization Friend Ships. Friend Ships is dedicated to fulfilling the biblical mandate to help people in need regardless of ethnicity, religion, political affiliation, or age. They have a small fleet of ships that are packed full of food, clothing, medical and shelter supplies ready to respond to a call for help, internationally or locally. The team assisted with getting a ship ready for its next mission—scraping rust, painting, and cleaning, as well as organizing and packing supplies in the warehouses—all while living and working on the boat, with the existing crew of volunteer missionaries. It was an amazing time of spiritual growth—and fun!—for all.